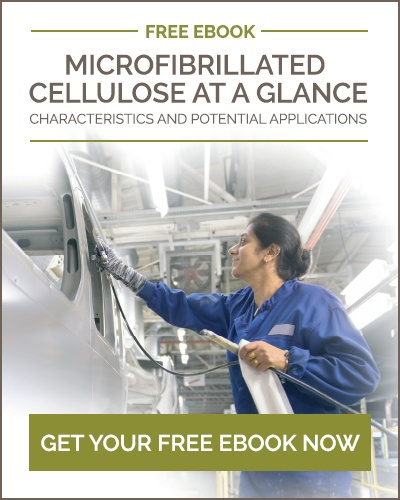 In brief, surfactants are surface active agents that play an important role in many practical applications, such as home care and personal care applications, coatings or agrochemicals. They can impact the surface wetting behavior of a coating or an adhesive, the emulsifying step of an oil-in-water or water-in-oil emulsion, the cleaning performance of a detergent, the dispersing of pigments in formulations, the foaming strength of a product or even the anti-foaming performance of a formulation. 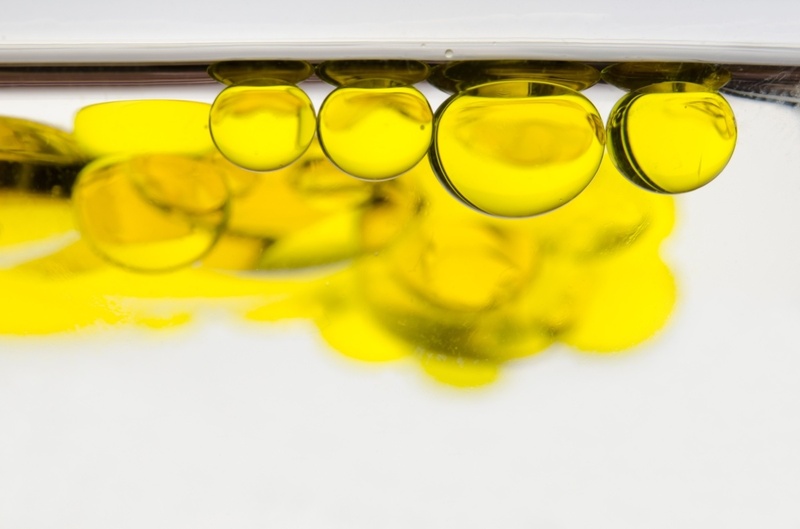 Surfactants have both a hydrophilic end-group that prefers to be in water or other polar solvents and a hydrophobic group that prefers oil or other lipophilic phases. These end groups can be chemically very different with different chemical structures, different charges on the hydrophilic head groups, different length of the hydrophobic head groups and more. Surfactants are often classified as anionic, cationic, zwitterionic (amphoteric) or non-ionic based upon the nature of the hydrophilic end-groups. All of these variations in surfactants lead to many possible incompatibilities with other raw materials in a formulation. One typical example is the possible incompatibility between anionic surfactants used for the detergency effect in shampoos and cationic polymers or surfactants used as hair conditioners. If the formulation is not carefully thought through, the two oppositely charged molecules will result in charge interaction and undesired complexation and phase separation. MFC is a potential additive in various applications where surfactants are present. The surfactants can be used for properties such as surface wetting or for the detergency effect, while MFC can be used for its excellent stabilizing properties and suspending power, high shear thinning effect or even its mattifying effect. Earlier we have discussed how you can stabilize foams in surfactant based formulations and shown how you can get bubbles to your bath tub using MFC. The properties of MFC are based on a three dimensional network of fibers which are robust against changes in the chemical environment, pH, salts, solvents, and so on. This makes it also a good co-additive to surfactants. 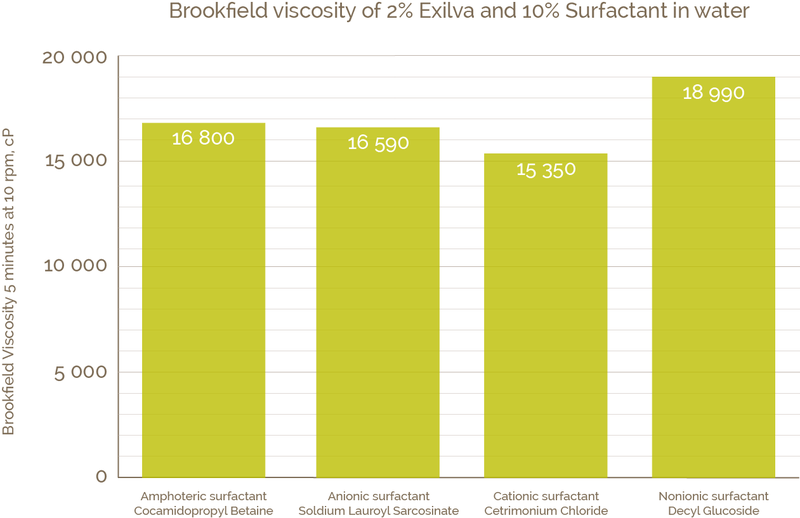 The graph below shows the viscosity of MFC in 10% surfactant solutions. The viscosity is very stable whether MFC is introduced in cationic, anionic, amphoteric or non-ionic surfactant. Moreover, the mixes are stable over time and no phase separation is observed. If you are interested in the interactions between MFC fibers and different surfactants, I can recommend this review article by Tardy et al. Figure 1. Viscosity of 2% MFC suspension in 10% surfactant solution measured with Brookfield viscometer (10 rpm, Spindel V-73). How to efficiently mix MFC into surfactant based systems. Use an airless mixing system when high shear is used. In the absence of airless mixers, it might be possible to use lower shear and longer mixing times. If the process and formulation allows it, high shear mixing in an open air system is possible in the presence of defoamers.